As the anniversary of the signing of the EU’s founding treaties approaches, a group of over 300 European academics and personalities have endorsed an appeal to relaunch European integration, inviting members of civil society, scholars, youth and citizens to participate in a March for Europe in Rome on 25 March. On the occasion of the 60th anniversary of the Rome Treaties, EU leaders will hold a summit expected to finalise the formulation of a vision for the future of the Union after Brexit. The first two discussions were held at the EU informal summit in Bratislava on 16 September 2016 and at the Malta summit on 3 February. The Treaty of Rome, establishing the European Economic Community (TEEC), is an international agreement that led to the founding of the European Economic Community (EEC). It was signed on 25 March 1957 by Belgium, France, Italy, Luxembourg, the Netherlands and West Germany and came into force on 1 January 1958. 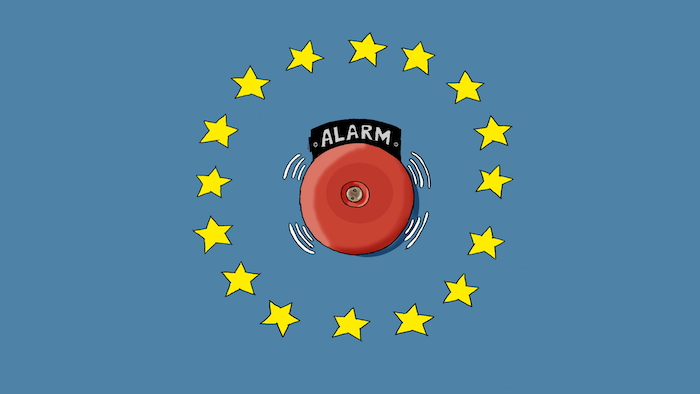 “We European citizens are worried and scared,” begins the Appeal, written by Roberto Castaldi with Giuliano Amato, Yves Bertoncini, Stefan Collignon, Anthony Giddens, Ulrike Guérot, and Miguel Maduro. “The economic and financial crisis has impoverished many of us. Youth unemployment risks creating a lost generation. Inequality grows and social cohesion is in peril. The EU is surrounded by war and instability from Ukraine to Turkey, the Middle East and North Africa. The flux of refugees and migrants has become a structural feature we must address together, in a human and forward-looking manner. In many member states, we witness authoritarian tendencies and the rise of nationalist and xenophobic forces. Democracy and the core values of the European modern civilisation are under attack. The EU itself is questioned, although it ensured peace, democracy and welfare for decades,” the authors write. They call on EU heads of state and government to match their vision with that of the EU’s founders, and “immediately exploit” all of the instruments of the Lisbon Treaties, i order to strengthen EU institutions and policies, especially on foreign and security, economic and social matters. 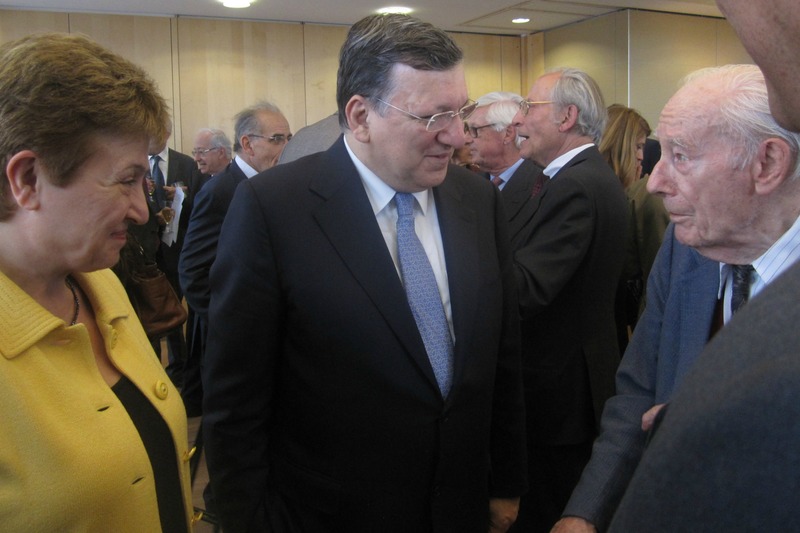 Regarding EU reform the authors of the Appeal say that the Commission should evolve into a fully-fledged government, setting and promoting a political agenda legitimated through elections and that European parties should present their candidates to the presidency at the European election. The posts of Commission President and of Council President should be merged and the incumbent should be the winner of the European elections, the authors write. The Appeal appears in eight languages, with the names of the 300 signatories, among whom are former Italian Prime Ministers Giuliano Amato and Enrico Letta, former President of the European Parliament Enrique Barón Crespo, and former Commissioners Emma Bonino and Anna Diamantopoulou. The March for Europe will start from Piazza di Spagna in Rome and conclude in another square in the historical centre of the Italian capital, under discussion with the local authorities. Citizens are invited to contribute by coming to Rome, by spreading information on social media, by emailing contacts and friends or even by organising a group themselves. A clickable map shows the countries in which groups are already preparing to join the march. Poor Rome, first they have a treaty designed to strip people of their democracy named after it and now a bunch of EU fanatics will march through its streets, it will never be the same. Much better in Moscow, right Ivan? Brussels or Moscow, there is little difference. joins #MarchForEurope2017! On 25th of March they will not only celebrate 60 years of the EU, but it’s also their 10th Anniv!